Genius at Play celebrates choreographer, Jerome Robbins career and contributions to dance. The ballet begins with an orchestral performance of Massachusetts native Leonard Bernstein’s Candide Overature followed by Interplay, comprised of eight dancers set to a jazz score and Fancy Free – his first of what would be many collaborations with Bernstein, which depicts the antics of sailors on leave in New York City in the 1940s. The program concludes with the Company premiere of Glass Pieces, a bustling tribute to urban life choreographed for 42 dancers and set to music by Philip Glass. 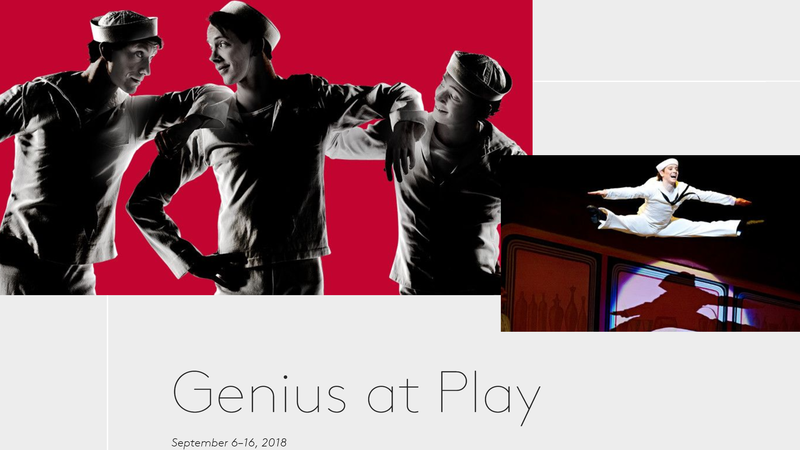 Genius at Play runs through September 16, 2018, at the Boston Opera House. This entry was posted in dance and tagged BosGuy, Boston Guy, dance. Bookmark the permalink.